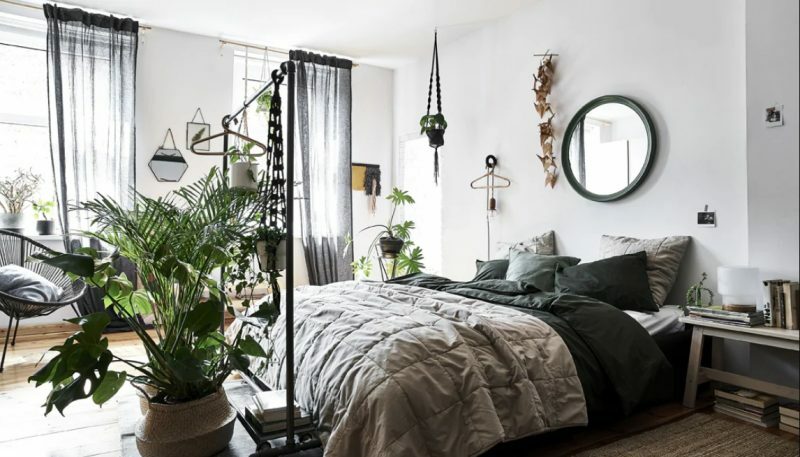 Surround your bedroom space with oversized plants and autumn leaves and pick a dark grey shade for your sheets. 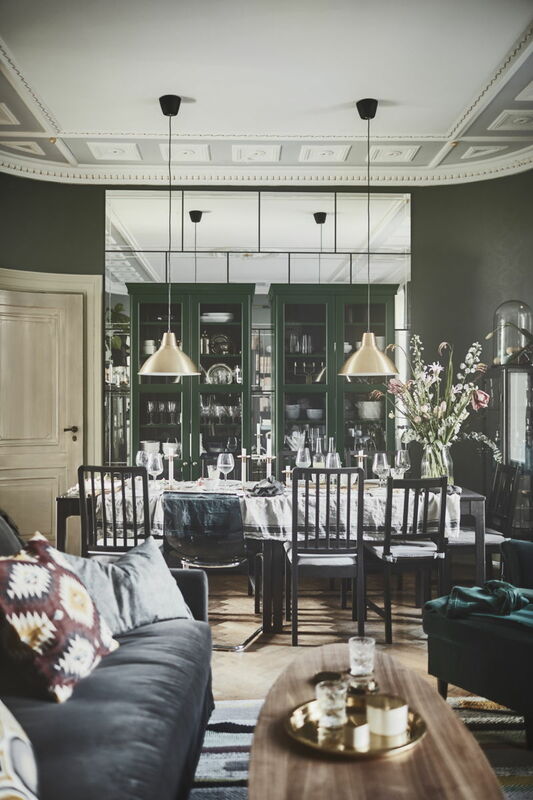 This interior will look Scandi chic and also very elegant for fall. 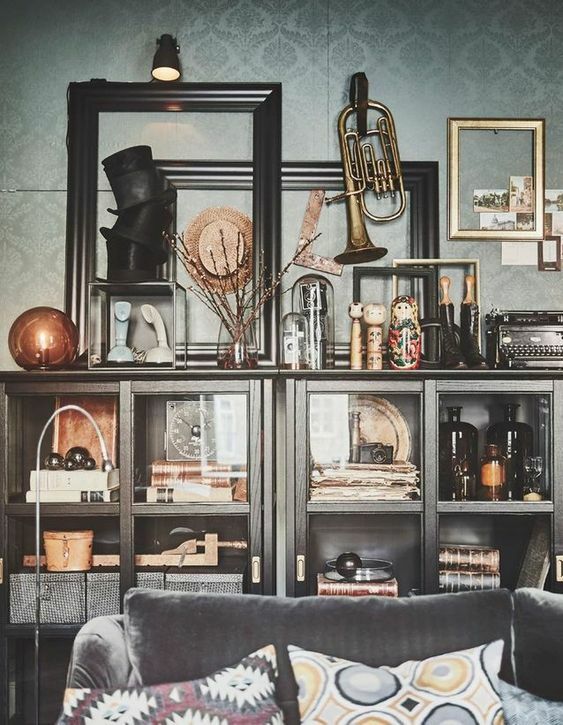 Make your living room really fancy by adding a bookshelf with glass for your deco items and favorite books and choose a velvet sofa as the center piece of the room. Add a little color with some gorgeous printed pillows and add flowers all around the space. 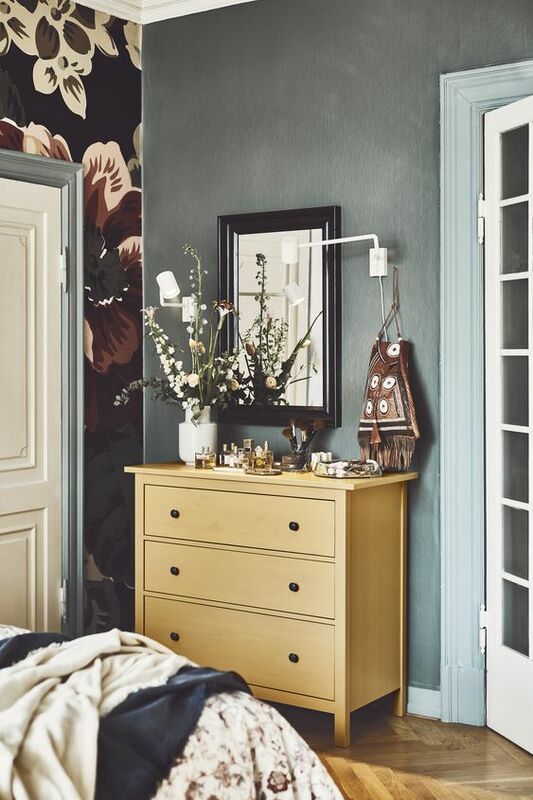 For fall pick a pastel or autumn shade for your bedroom cabinet and add stylish displays on top of them. Arrange your perfumes and beauty products in a lovely way and mix and match autumn flowers around them. 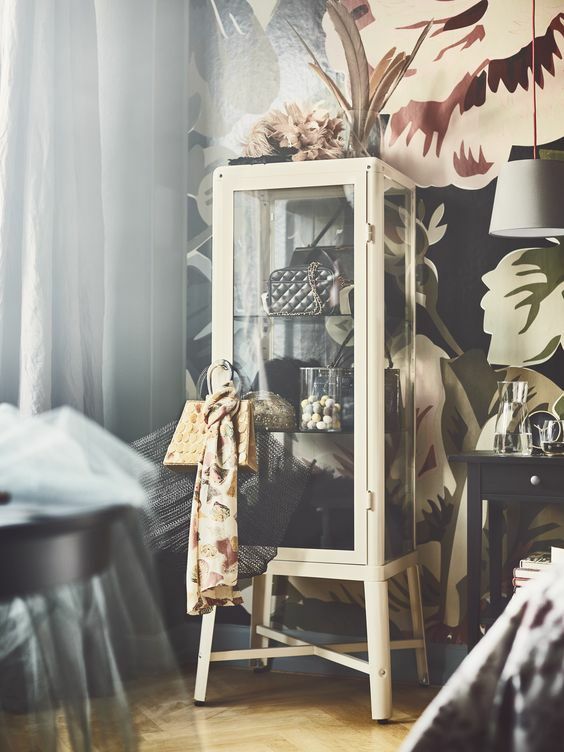 Make a dreamy corner in your living room by picking floral wallpaper in dark and dramatic colors and adding a glass cabinet for your dreamy accessories. You can also add any kind of deco items in the typical fall colors like dark red or brown or some fancy gold details around the space. 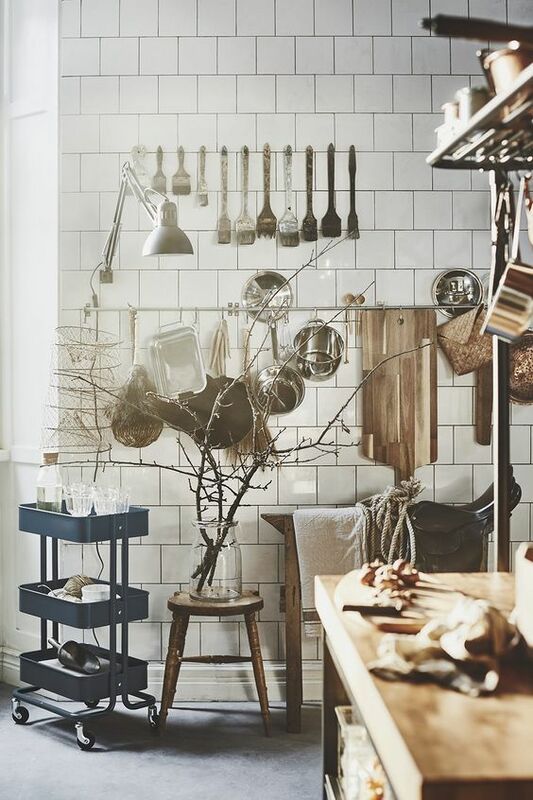 Decorate your kitchen with some beautiful fall accents like a minimal vase filled with tree branches. 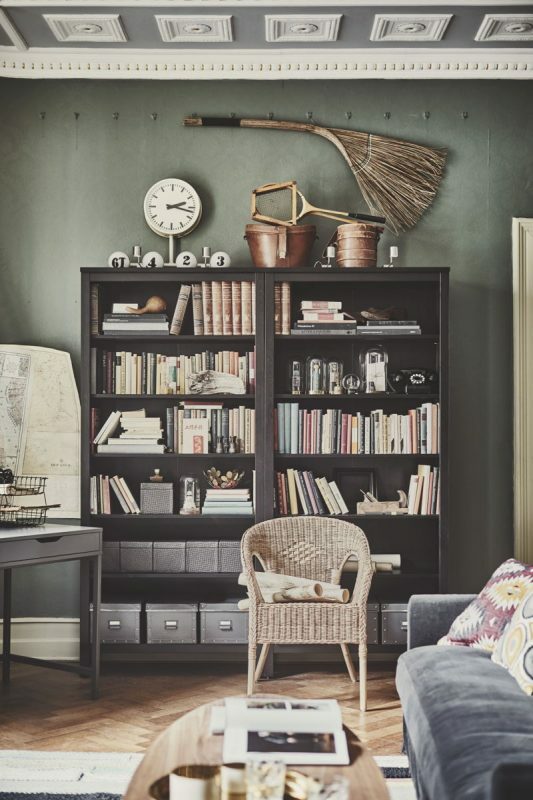 Keep a warm color palette in the space and add a little bit of color in details such as mugs, plates or a shelf on wheels. Pick a beautiful pastel shade for the wall next to your office space and add some warm colors next to your neutral furniture. Also, add a fun lamp in a joyful color such as yellow that will make your working days more pleasant than ever. 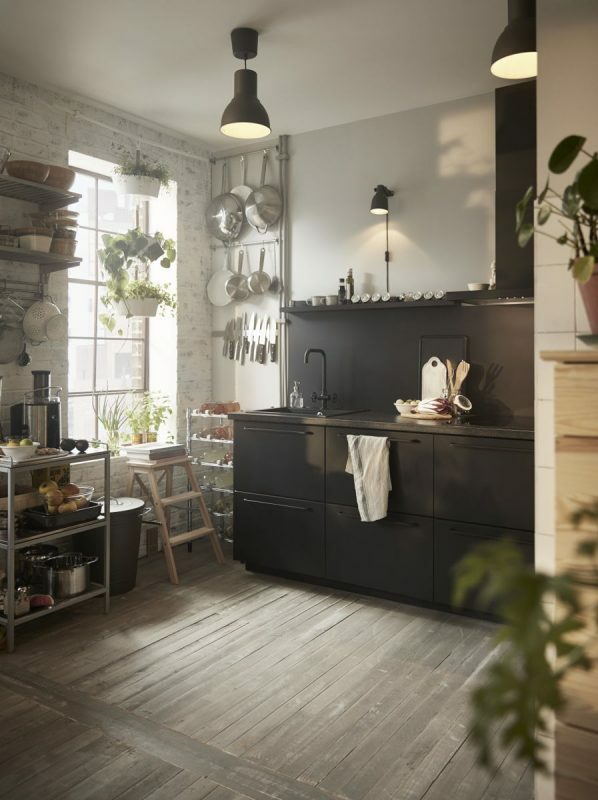 An elegant black kitchen is perfect for this season and with a great lightning you will get a mysteries and romantic vibe in this lovely space. Make a neutral living room really chic by adding small plant in elegant pots and by picking pillows with stylish cushions. Also, add original sitting options around the room and invite a lot of friends in your dreamy home. 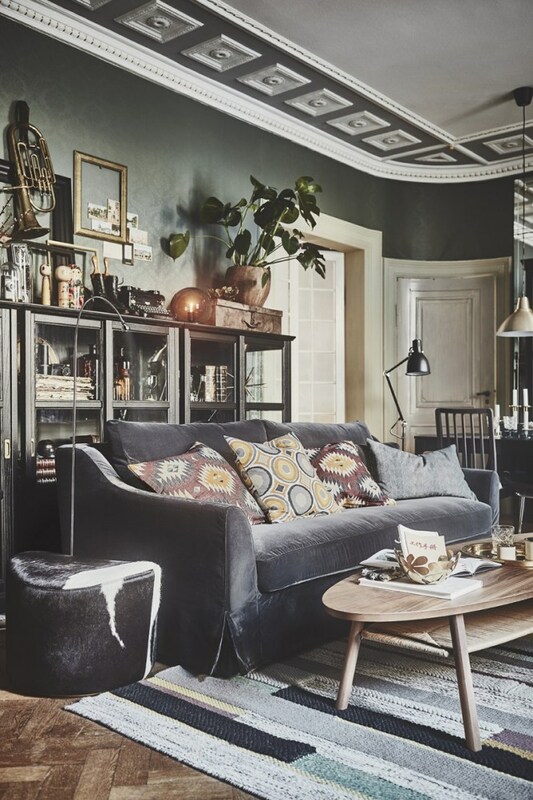 Make a very eclectic corner in your dreamy living room by mix and matching new and retro items and mixing balk and white with beautiful autumn shades, inspired by the autumn leaves. 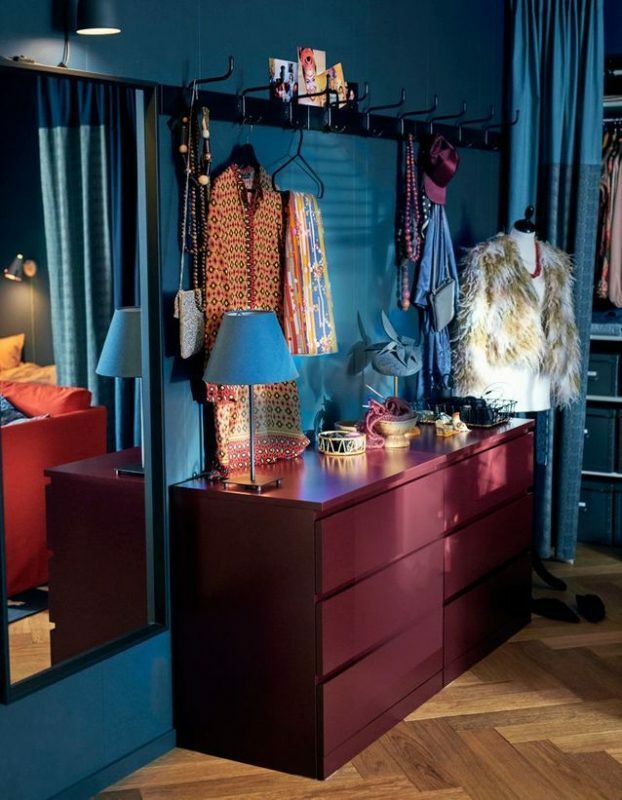 This cold season think about dramatic and bold colors and add them in your gorgeous bedroom. Paint a neutral cabinet in any color you love and add dreamy lamps and candles around the space and also a gorgeous statement mirror.